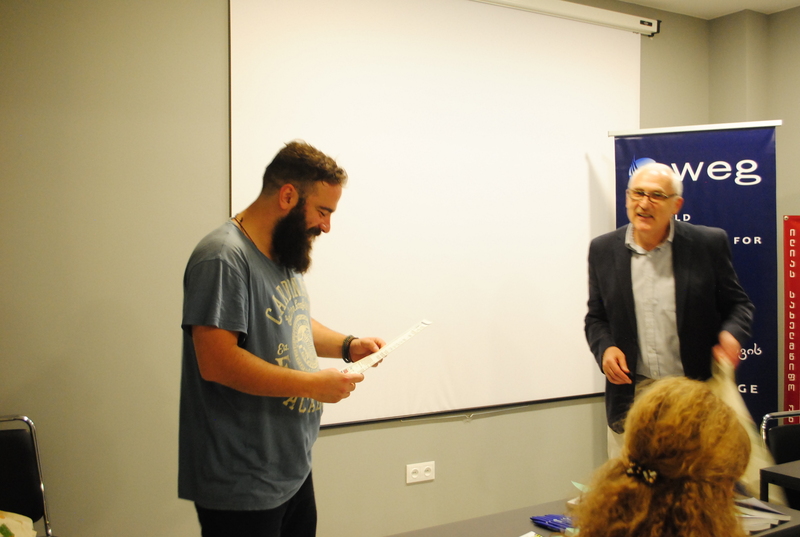 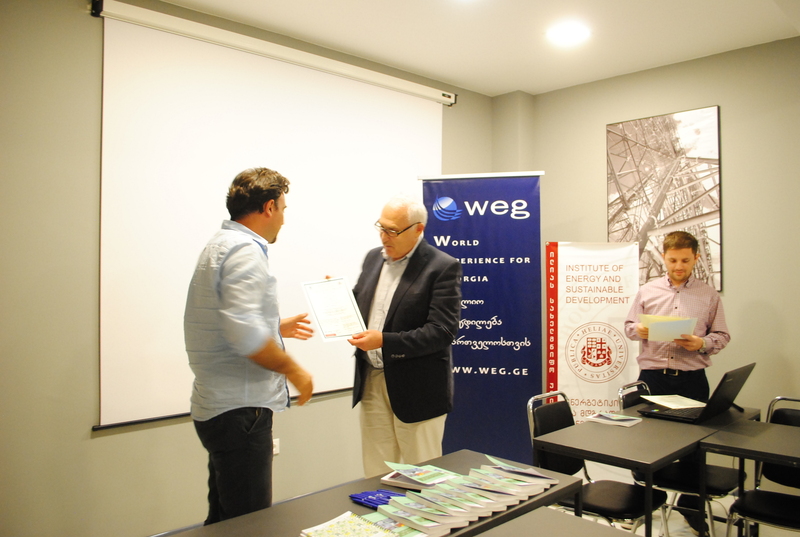 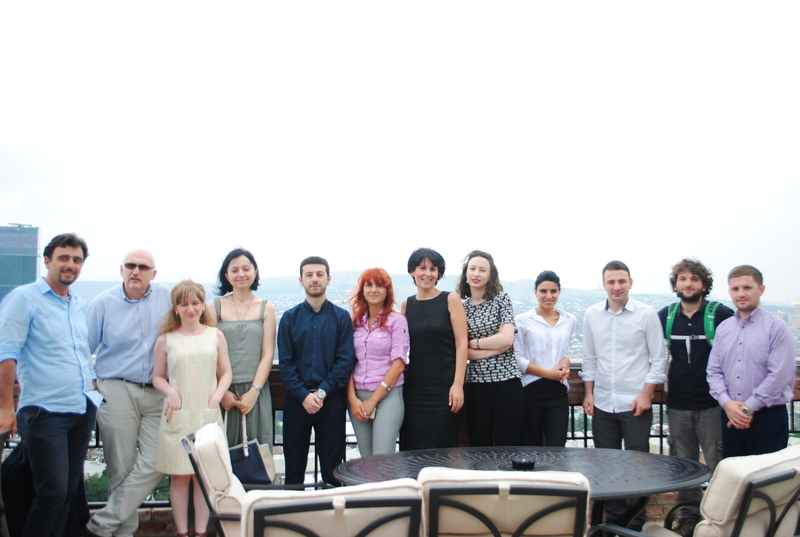 On July 29, 2016 certificate award ceremony for Climate Change and Sustainable Development Course participants was held in Tbilisi, Georgia. 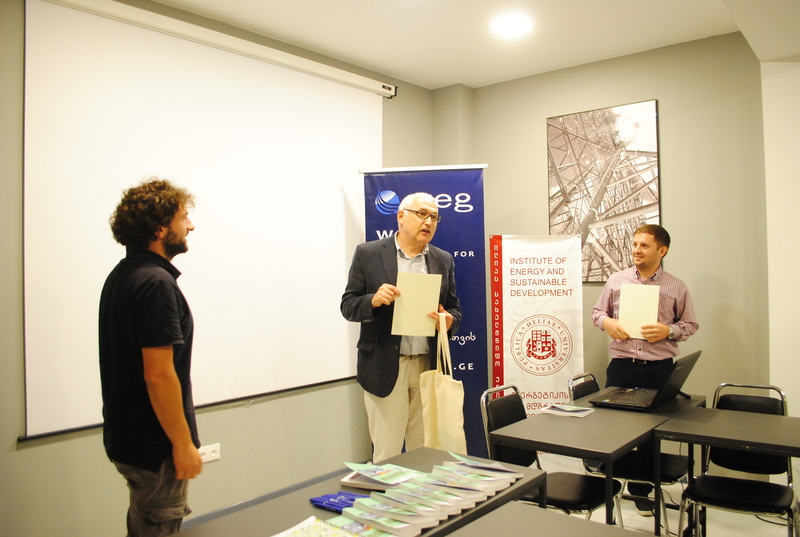 Course participants were selected from public entities, non-governmental organizations, students and journalists, who work on climate change policy, mitigation and adaptation issues and need to address the climate change problems in their day to day activities. 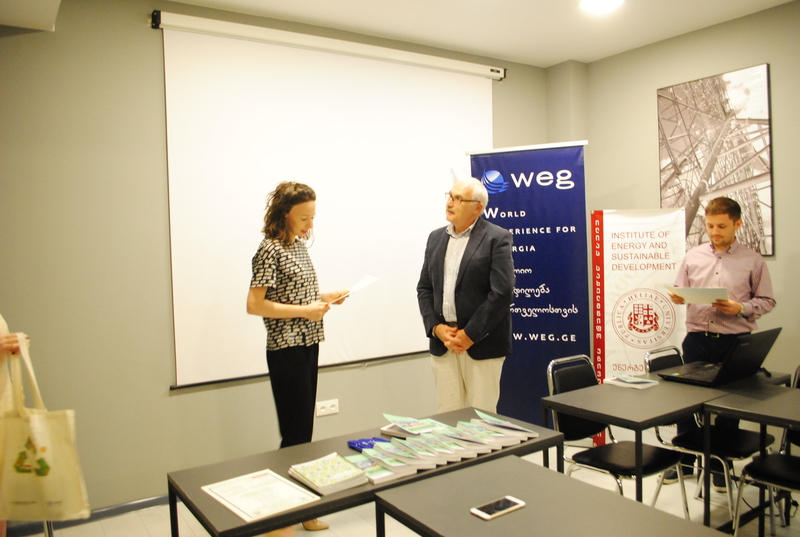 The course was divided into 8 lectures/seminars and discussed the topics as follows: Scientific background and signs of climate change, climate change mitigation and adaptation, international cooperation and Georgia’s participation etc. 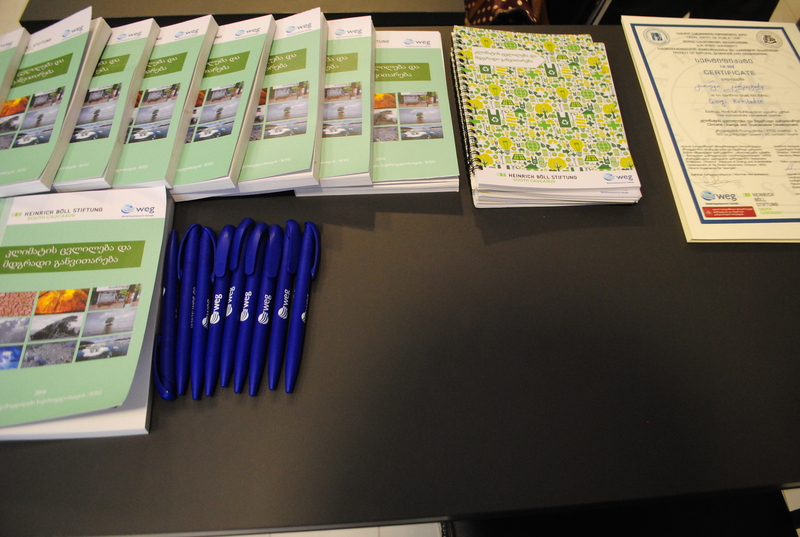 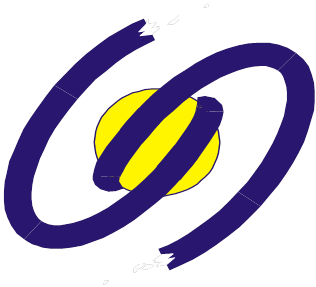 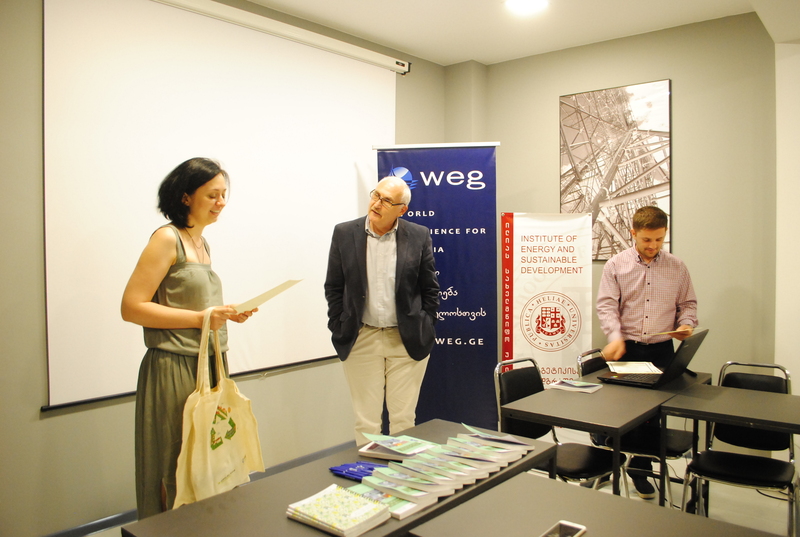 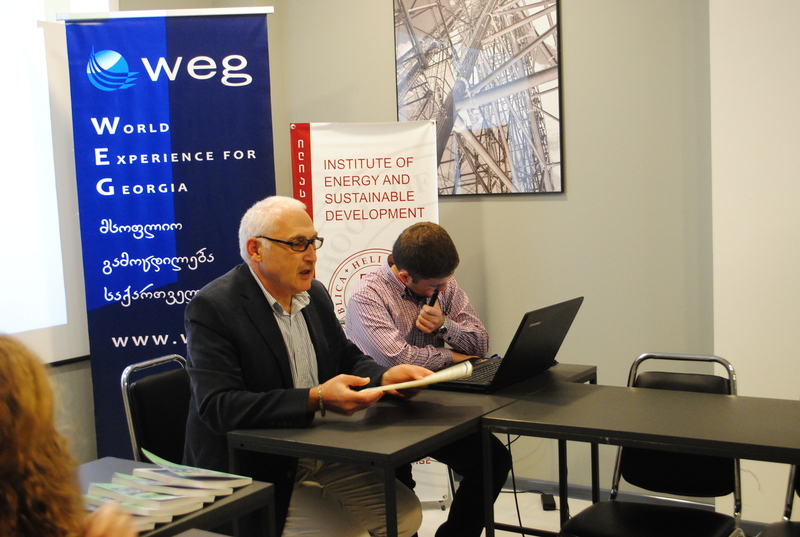 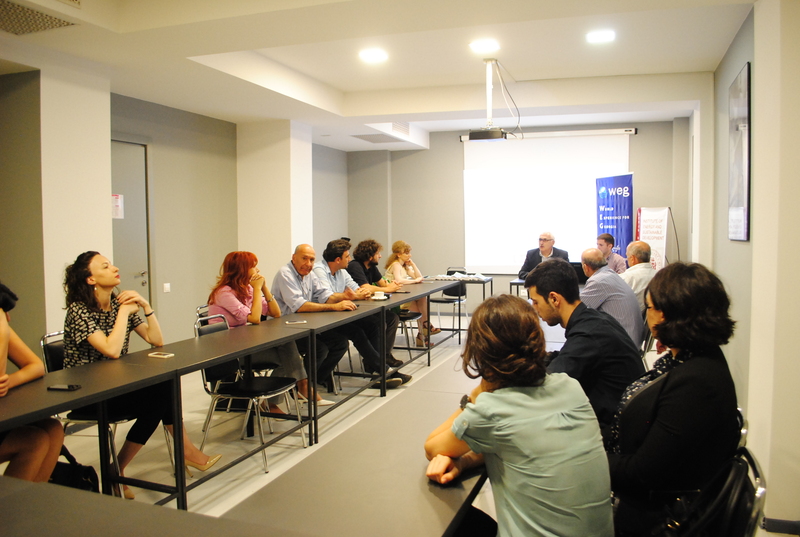 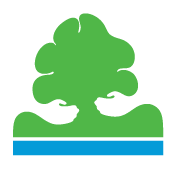 lectures were designed and led by climate change experts in Georgia, and the course program was developed in cooperation with climate change international experts. 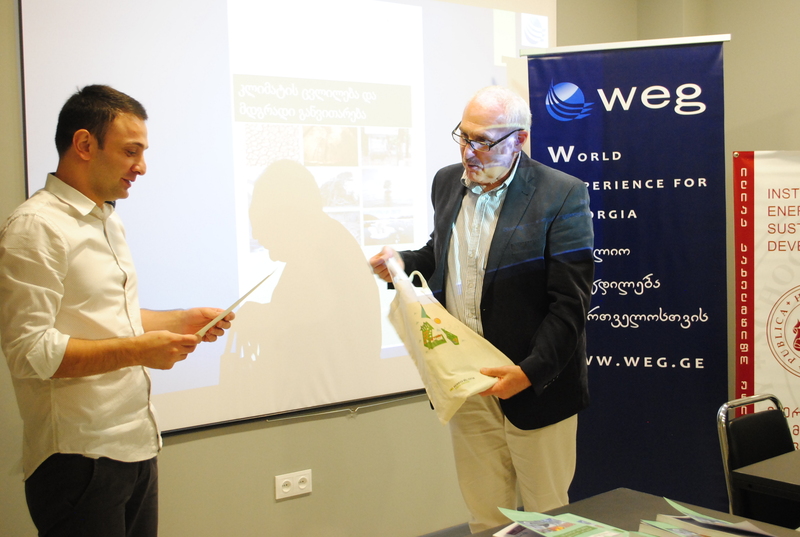 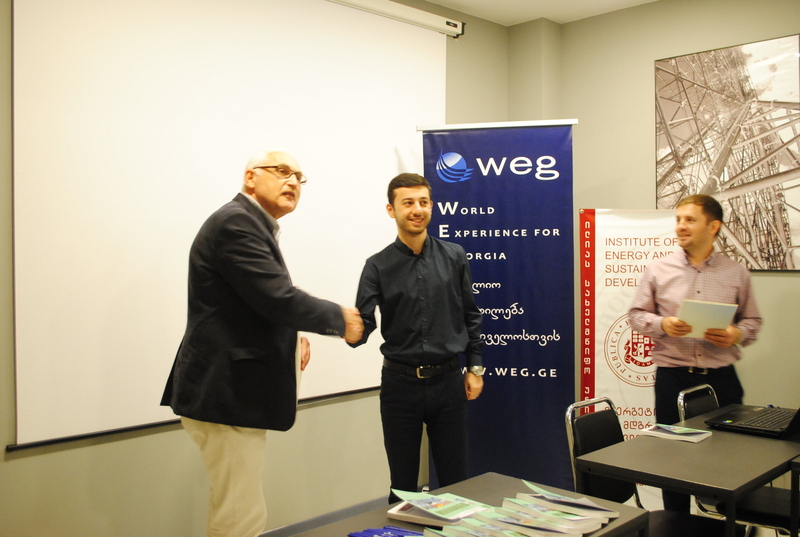 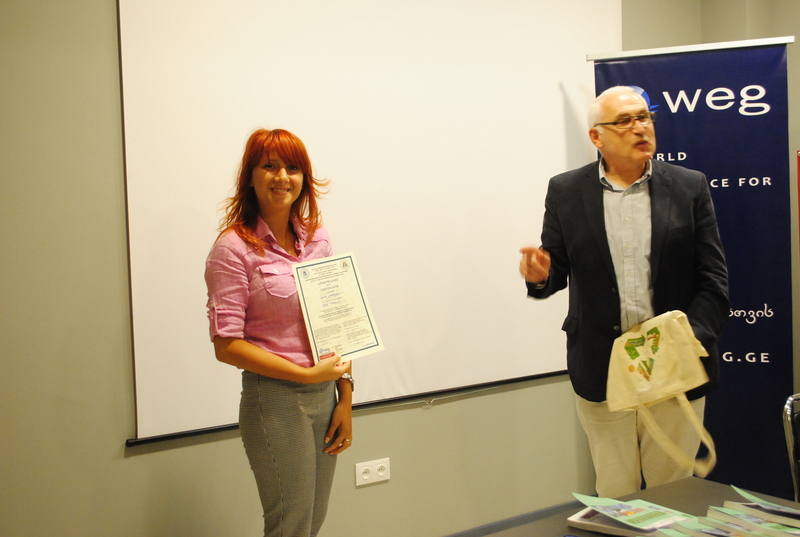 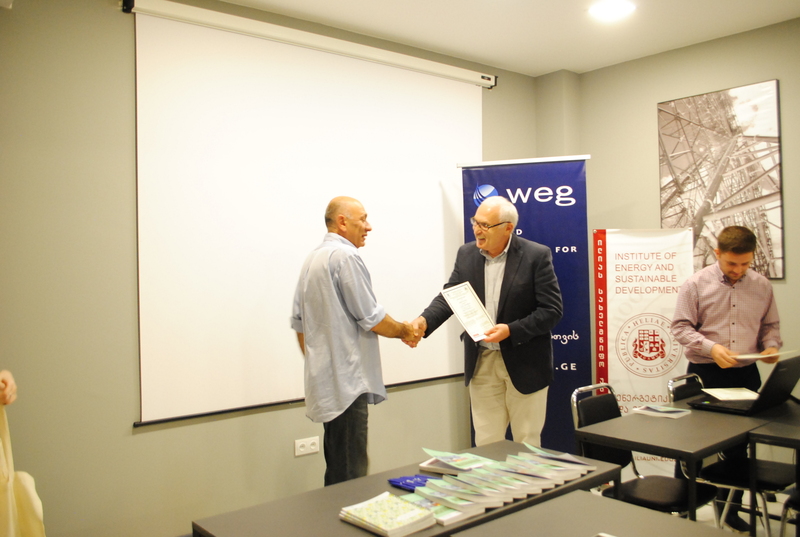 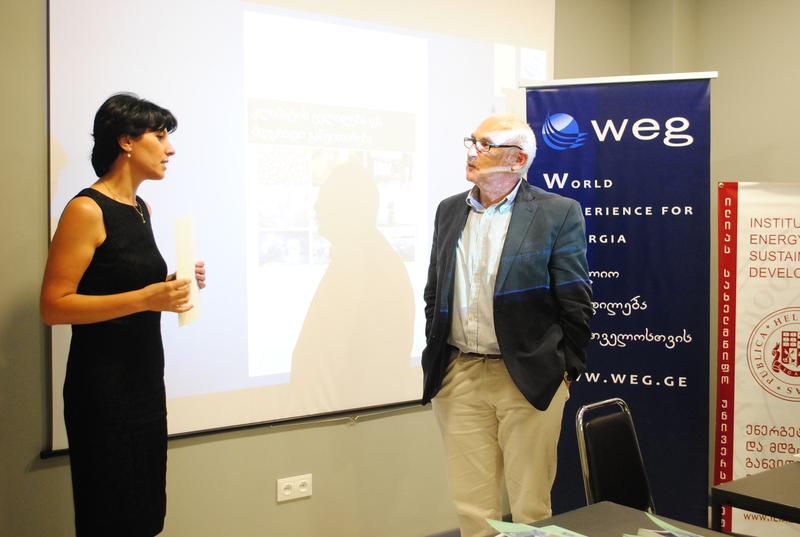 Certified course on Climate Change and Sustainable Development was conducted in Ilia State University, within World Experience for Georgia’s (WEG) project funded by Heinrich Boll Sifting in South Caucasus. 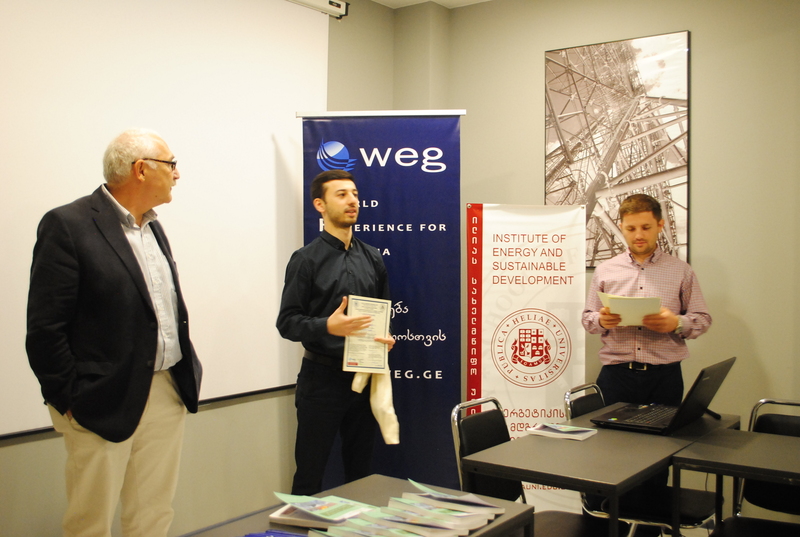 The main goal of the project was awareness raising on climate change issues and promote dialogue and cooperation between government representatives and Civil Society.